Danio rerio common name zebra danio. They grow up to 8 cm / 3 inches fully grown. 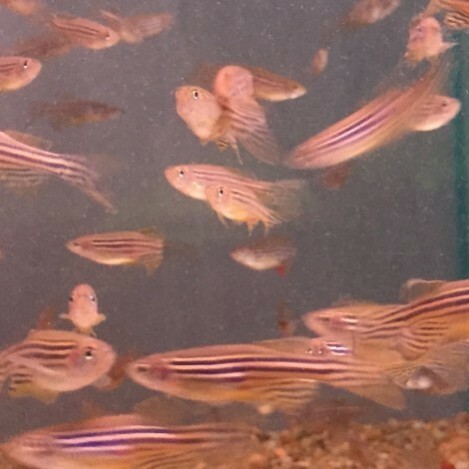 They are best kept in water parameters of PH range 6.5-7.5, and temperatures of 17-25 Celsius / 64-76 ° F.
The zebra danio is a highly active little fish. They can sometimes be a little nippy so keeping them in small groups can help, as they can nip and play with each other rather than going after other fish. They can be kept at lower temperatures, so can be kept in a tank with no heater. However the temperature needs to be watched as if it gets to cold it can stress them out. 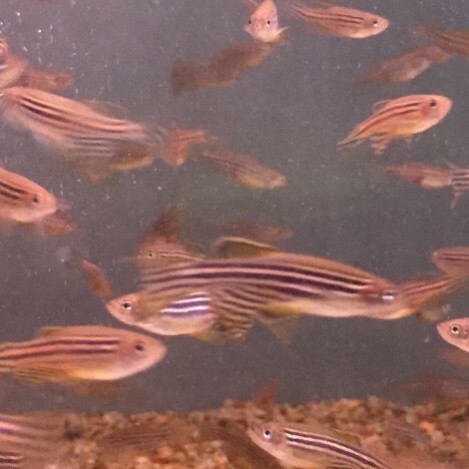 The zebra danio is a greedy fish and can be first to the food, so mixing the food around the tank whilst feeding can help your other fish get some food to. The zebra danio will eat flake, pellets, and granular foods, as well as a treat of freeze dried, frozen, or live foods. 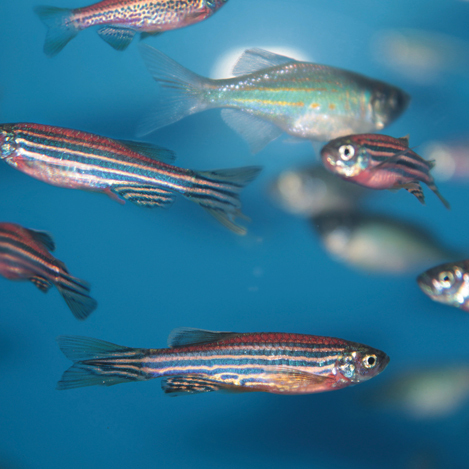 Zebra danio are small fish they only require small size foods. They are greedy fish and will eat any food you put in, as well as treats of frozen and live foods. They still only require feeding once a day at the most.